T-Mobile and Sprint, among others, expect fixed-wireless access to replace fiber-to-the-home and other fixed-access broadband technologies for rural customers. 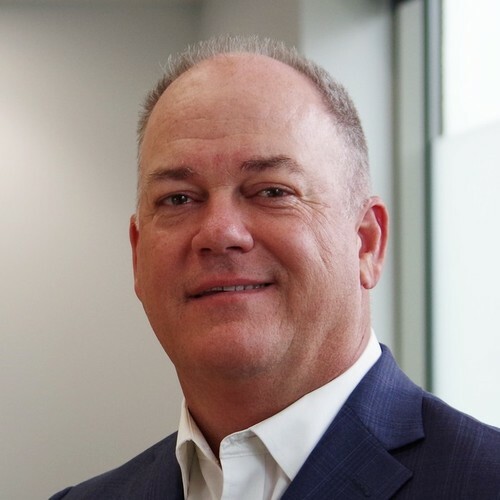 But these wireless solutions will not deliver the high-speed, high-availability, low-latency connectivity today's customers need to support the increasingly complex requirements of residential networks, according to Clearfield Chief Marketing Officer Kevin Morgan. While FWA advocates point to the wireless technology's less complex deployment costs -- less fiber trenching, for example, equates to faster turnaround and much lower manual labor with a high-ticket price -- the fiber industry as a whole has worked across the United States (and elsewhere) to reduce expenses and redundancy, said Morgan. The results are apparent, he noted. "Fiber is feeding an economic engine," says Clearfield CMO Kevin Morgan. "We've been part of this industry that's been removing barriers to deployment through regulatory matters, encouraging forward-leaning rights-of-way and pole taxing and things like that. We've seen the impact of federal, state and local rulings come down to help rural broadband, community broadband and investments and setups," he said. "We see that ongoing. We continue to see funding that encourages fiber deployment." Broadband World News: So what is the deal with fiber, wireless and wireline -- and would some operators' plans or discussions to serve rural broadband with FWA impact fiber's future growth? Kevin Morgan: When we see demand for bandwidth, fiber comes out on top always as the preferred medium for which you can satisfy all these demands for bandwidth… versus cable modem, DSL or wireless. Now wireless is going to jump up as 5G gets here. We're starting to see now that convergence happen for wireless/wireline. BBWN: What about 5G, which will require a lot more fiber? KM: When 5G comes on line we see demand for fiber is even more; because of the propagation effects of some of the millimeter wave frequencies, it needs smaller and smaller cell sizes, so you need fiber closer and closer to the end-users. The whole goal on a lot of these wireless technologies, especially when it comes to 5G, whether it's indoor or outdoor, is to get the signals onto a fiber as soon as possible. That's the key. Getting all these high-bandwidth drivers onto fiber networks is going to be the trick over the next several years of how to take care of the bandwidth demands. The big shift for our industry is 5G next-gen services. Release 15 of the 5G spec from the Third Generation Partnership Project -- 3GPP -- was frozen in December 2017...now we're starting to see the first rollouts of that for enhanced mobile broadband. Release 16 specs will be frozen this year and we'll start seeing implementation of some of those ultra-reliable, ultra-low-latency applications and use-cases as well as the massive machine-to-machine applications a couple of years from now, is my best guess. And these will need many, many more small cells -- all fiber-fed -- and that's going to be the next innovations of devices and applications that will be enabled by this low-latency, high-bandwidth network, this converged network of wireless and wireline. BBWN: Even in 5G's early days, fiber deployment appears unstoppable -- and there still are no apparent, mainstream use-cases for gigabit. KM: When we look just at the fiber industry in North America, for example, in the US we have 41 million homes marketed today and 18.6 million homes connected. (By the way, I'm chairman of the Fiber Broadband Association, so I have access to a lot of this information.) That's 17% growth in 2018 over 2017. Now we're at 59.9 million homes marketed and 23.8 million homes connected, which is 22% growth over 2018, that's according to a study by RVA. That fiber is feeding an economic engine. There's cloud computing that's allowing hosted server/storage for terabytes of data. There's streaming video, which now accounts for 70% of traffic and it's growing. There's the smart cities that have electrical grid management, traffic management and is very progressive in some of these areas. The Internet of Things: One of the forecasts, and there are many, projects there'll be 50 billion connected devices by 2020, which is not too far away as I recall! We're at 2019 -- but hundreds of devices in each home, which is kind of hard to imagine. We're all on the verge of the Internet of Things, with millions and billions of devices connected to the network for simultaneous use, all collectively generating a greater demand for bandwidth. BBWN: You have spoken before about the importance of multi-access edge compute (MEC) to operators, to fiber, to Clearfield. Care to elaborate? KM: MEC is really going to start to happen in network infrastructure a couple of years out. [With MEC] you push that processing power out further to the edge -- to devices themselves -- and MEC is going to be a term that describes more than just what's happening in the network infrastructure. It'll also be happening in the devices themselves. With all these millions and millions of devices in the edge of the network, there's going to be a need for processing to be handled in each device that otherwise would have been dependent on coming back to the cloud. When that happens, it's going to demand a lot more fiber capacity and a lot more fiber roll-outs. When you look at a network build or network infrastructure, which is what we are most interested in... we're talking by 2021 it being shaped by three things: The need for the most reliable electrical power, secure locations and good fiber connectivity. That really entails rolling out some things like powered-up cabinets. BBWN: What are some of the other trends shaping operator buying decisions? KM: When we look at surveys done of the network industry or 5G or small cells… top-of-mind for decision-makers are access to affordable sites, standard process for approval and cost of deployment. What is under our control … is lowering the opex cost, providing affordable backhaul and plug and play deployment processes. There's a reason people want plug-and-play deployment. That reason has to do with the available employment force. The skilled labor shortage is intensifying. In one poll ... 89% of construction firms are facing these shortages. That's a big deal. Also, millennials are three times more likely to have more turnover than the generations before them. So when you have a labor shortage and the likelihood the people you hire for your construction and engineering firms are going to leave quicker, it basically forces this move towards providing services and products that require less skilled labor. And what that means for me is I need to get away from the requirement to have a certified fiber optic splicer technician in every location.